The information given to professionals by Dr. Mariana Alves-Pereira in her most recent presentation in Slovenia needs to be seen by everyone. She speaks about the harm from LFN and infrasound from industrial wind turbines. Most people still do not understand this harm despite the fact that the Waubra Foundation has listed the progression of symptoms and this information has been in the public domain for several years. The impacts and annoyance from noise are easy to identify. The Huron County Health Unit refuses to acknowledge the connections between LFN and infrasound and the symptoms residents have been/are reporting. Most residents are still unaware because no one has informed them. Even doctors are not willing to acknowledge that the cause of symptoms being reported could very well be LFN and infrasound. Instead they order a battery of tests and procedures and they prescribe all sorts of pharmaceuticals, some of which have serious side effects. We are unclear as to what makes you conclude the Huron County Health Unit is refusing any acknowledgement of low frequency noise. There is, to the best of our knowledge, an entire section in the questionnaire on “vibration” with many opportunities to record the effects. Re; Health impacts. 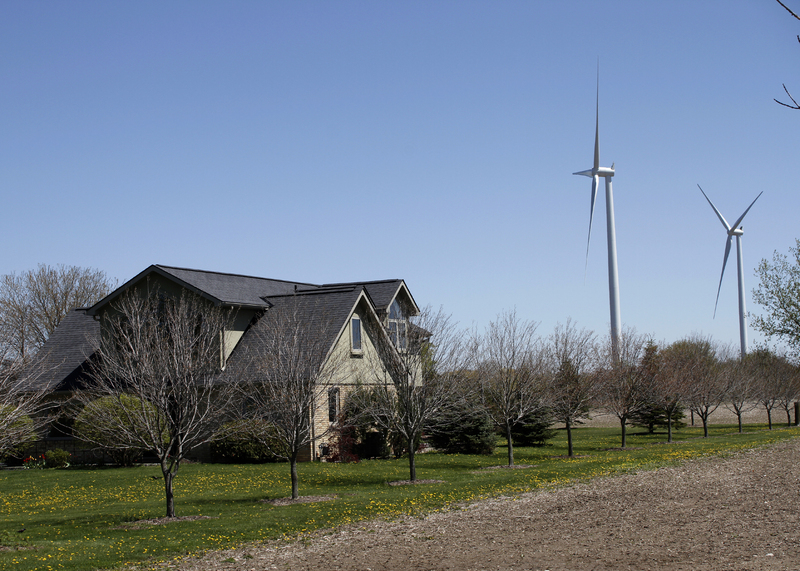 Will Huron County Health Unit acknowledge ongoing harm of wind turbines, and if so, will they order a halt to turbines? All of this is known, and complaints were made public in Jan 2016. Here is the link to Dr. Mariana Alves-Pereira’s most recent presentation in Slovenia on harm from LFN and infrasound. Given the information provided by Dr. Mariana Alves-Pereira, regarding the harm from low frequency noise and infrasound, could someone please explain why the HCHU would not go to the government and order the turbines to be turned off now?Is it not their mandate o protect the health of residents? How on earth can they be aware of this and allow the harm to continue? Many residents who are not doing the research still have no idea that LFN and infrasound are impacting them. Residents have reported the traumatizing harm to the Health Unit. Sorry, question: so, people are not participating in the research initiative, but they have reported the harm? It would be best if they participate in the research project. We have received queries from people who weren’t sure about what they were experiencing; the advice of the Health Unit was, contact them as soon as possible. People were reporting harm from LFN and infrasound already 3 years ago, shortly after the turbines were turned on. The impact is cumulative. The Health Unit study will not be complete until the end of 2019 and if amalgamation disrupts the study, it will be even longer. How can anyone ethically justify having people exposed for another year, given what Dr. Mariana Alves- Pereira is reporting in her recent presentation to professionals in Slovenia? What an incredibly interesting era we are experiencing! No-one listens to experienced doctors anymore. No-one listens to experienced electrical technicians anymore. No-one listens to experienced nurses anymore. Know nothing ministry of something officials seem to be taken as god like prophets. The whispers of well funded lobbyists mean more than the outcry of the constituents. I will say again, Ontario is an outlaw society. Your legal cousel decides what law applies to you after they check your personal connections. These windmills are like the old hustler shell game where you can pick a day any day and your chances of coming out ahead are pretty slim. Once again I will offer anyone anywhere to prove to me any industrial electrical wind turbine that has produced more power than was used to manufacture and install that unit,—– please, no more quotes from Internet websites being produced by paid conforments. So, to conclude my rant, IWT’S in Ontario have proven to be useless at generating reliable electrical power so building more must be for some other reason! Everyone, look up the definition of the word, “STUPIDITY”. I found the definition of “STUPIDITY”. It’s the Ontario Green Energy Act. For example- Friday August 3rd 2018 9am 26°C and climbing. Entire Ontario wind farms monitored output at a staggering low of 129MW. Most turbines drawing from the grid supplied by gas backups. Ontario solar farms output at 123MW. Wind/Gas back ups providing 2954MW. Ontario grid demand at 17,429MW and climbing like the temperature. Burning gas to keep windmills turning is difinitively total stupidity.